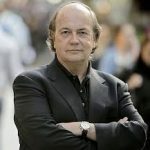 Jim Rickards: SDR (Inflation) Use Will Go Exponential After Next Financial Crisis - Wall St. for Main St.Wall St. for Main St.
Jason Burack of Wall St for Main St interviewed returning guest, best selling author, James Rickards http://www.jamesrickardsproject.com/. During this 25+ minute interview, Jason starts off the interview by asking Jim about what happens to markets and the real economy if Donald Trump wins the 2016 Presidential Election coming up on November 8th? James talks about how Donald Trump will most likely end up using Larry Summers’ $2 trillion infrastructure plan to create jobs and how that will most likely continue to add to the US’ debt problems. Jim talks about how the elites are setting up the SDR and will grow the SDR exponentially in size after the next financial crisis to create a lot more inflation. Next, Jason asks Jim if large currency swaps are part of the plan along with the massive increases in SDR usage to prop up asset prices with inflation? Jim talks about the importance of owning at least some gold and how high gold could go? Jim expects gold to ultimately end up as part of the global financial system to restore confidence. To wrap up the interview, Jason asks Jim what’s the endgame goal for the elites? Is it to start WWIII? Is it to make the middle class poor and create a large class of serfs?